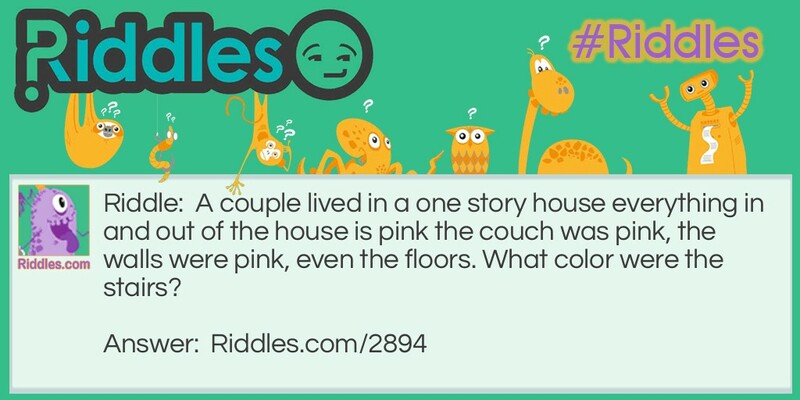 A couple lived in a one story house everything in and out of the house is pink the couch was pink, the walls were pink, even the floors. What color were the stairs? They lived in a one story house... They had no stairs!! The stairs Riddle Meme with riddle and answer page link.